Living in a dorm room and making a dorm room your home are two completely different things. While most students use dorms as living space, few of them actually consider making it into a home. To make a dorm room into a home you need to make it your own. It’s not enough to simply hire professional Manhattan movers and have them move you into it. You need to check out your dorm room completely and add a bit of personal touch to it if you are going to experience it as your own. 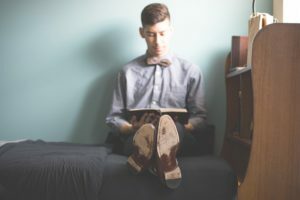 Therefore, to help you out, we are going to go over some basic guidelines that you need to follow when you decorate your dorm room. This might seem redundant to some of you, but most students need to hear this. You need to clean your room. Living in a messy room is a bad habit that you need to get rid of as soon as possible. You are slowly growing up and you should make yourself comfortable with the idea of keeping your room clean. 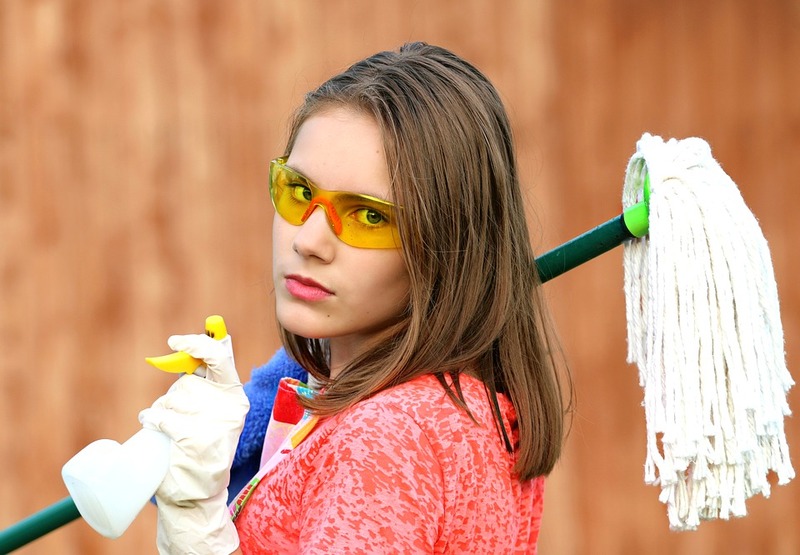 It is not easy to keep a room clean, but that is exactly why you need to do it. Not only will you make your dorm room appear larger, but you will feel better while in it. No matter how much you decorate your dorm room, it is not going to look nice if you do not clean it. You should start getting the habit of cleaning your room as soon as you can. Start off with decluttering your home. Figure out which items you need. Everything else needs to go. That doesn’t mean that you must throw them away. You can donate them, sell them or even put them in storage units. But, whatever you opt to do, do not let unnecessary items clutter your dorm room. Most of the items that do clutter a dorm room are the nostalgia items. Try to keep those to a minimum. You can get a nice box and put your nostalgia items in it so that you can go on a nostalgia trip at your convenience. But, do not place them all around the room. Using a storage unit to store your possessions may seem expensive, but it really doesn’t have to be. You can probably find other students that are in a similar situation as you and are willing to share a storage unit. This can be a good way to considerably cut your storage costs. Furthermore, you can get free cardboard boxes NYC and pack your possessions at minimal or no cost. And to top it all off, there are numerous storage companies that provide student storage services, which can be much cheaper than regular storage. So, using a storage unit to declutter your dorm room is a great way to prepare for decorating it. Once you have cleared out your dorm room, it is time to decorate it. Now, there are a lot of ways in which you can decorate your dorm room, but you need to keep a few things in mind. Mixing and matching ideas is always good, and you should definitely do so when you decorate. But, keep in mind that there are a few things that remain tried and true for every decorating job. In order for your dorm room to look nice, you will need to have a theme. What this means is that you should consider the way in which you will arrange your dorm room and help it make sense. Putting together old wooden pieces with modern neo-lighting will rarely look good. You need to figure out a theme, a vibe in which to decorate your dorm room and then build up from there. This is simply decorating 101. When you decorate your dorm room keep in mind that it should represent you. What theme should you pick? Well, the one that represents you the best. Find a theme that shows the inner you. Something that will give the people who visit your room a chance to know you better. It is in our nature to judge the character of a person based on the surroundings in which they spend their time. Like to watch sports? Place sports items around your room. Enjoy going to jazz bars in NYC? Place Jazz memorabilia around. Make your dorm room an extension of yourself. Since student dorm rooms have been around for centuries, there are thousands of creative ideas that you can incorporate when decorating your own. You can continue your online research and look at some quite creative ideas for decorating a dorm room. But, to keep things nice and accessible, we are going to mention some ideas for decorating a dorm room that we think are just awesome. Did you know you can make a smartphone projector out of your shoebox and a magnifying lens? Well, now you do. There are multiple tutorials online that can help you make a top-notch one. But, they all boil down to cutting a hole in the shoe box for your lense, placing your phone with the screen facing the lens and covering the box. Nice way to watch movies, right? Putting a plant in your dorm room is a great way to both help yourself and decorate. A plant will bring some nature to your room. 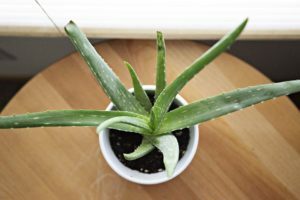 Plus there are plants like Aloe Vera and Gerbera that can help you sleep better. Just remember to water your plants regularly so that they survive your studies. Aloe Vera can help you sleep better and bring some nature to your dorm room. A headboard is a great way to decorate your dorm room. You can go from simply placing some plywood to making a detailed work of wooden art and placing it above your head. Placing one will make your room feel cozy and make your bed look much homier.